Castle Stuart Golf Links, the new home of the 2011 Barclays Scottish Open, is now officially rated as the 56th best Golf Course in the World. The official rankings by the US based GOLF MAGAZINE were released this week on the ‘front9’ app with Castle Stuart being the highest-ranking debut on the World list. Following on from its success as host venue to the recently played Barclays Scottish Open, Castle Stuart’s reputation continues to spread worldwide. Perfect location and the courses in the highlands are a must play on a trip to North of Scotland; Royal Dornoch, Castle Stuart and Nairn are some of many worth the trip to the area. At the recent Golf Tourism Scotland awards ceremony, The Royal Golf Hotel in Dornoch was named the ‘Hotel of the Year’ in the large hotel category. After some extensive refurbishment and under new ownership, the hotel re-opened in April 2010. 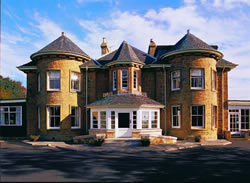 Overlooking the first tee at Royal Dornoch Golf Club, the hotel is ideally located for golf in the Highlands. Royal Dornoch, Brora, Tain, Golspie, Castle Stuart, and Nairn are all within striking distance and all come highly recommended. Click here for more information. By Gary Sheppard. Gary has been with PerryGolf for over 4 years and is a one of our Golf Travel Specialists.